► Can the VW topple them? Wolfsburg is pinning a lot on the new T-Roc, its shiny new crossover. VW killed off the Scirocco in order for the crossover to take the slow-selling coupe's place on VW's Portuguese production line. Head honcho Herbert Diess says VW is 'evolving into an SUV brand', and VW counts two versions of the Tiguan (regular and Allspace) and the Touareg among its SUV offerings in Europe. A Seat Arona-based T-Cross is coming later in 2018, and a T-Roc convertible will be built in Austria from 2020. Why? Because the 'dual-purpose' segment was the only part of the UK market to grow in 2017. One in every five new cars sold was of the chunky, tall-riding kind. 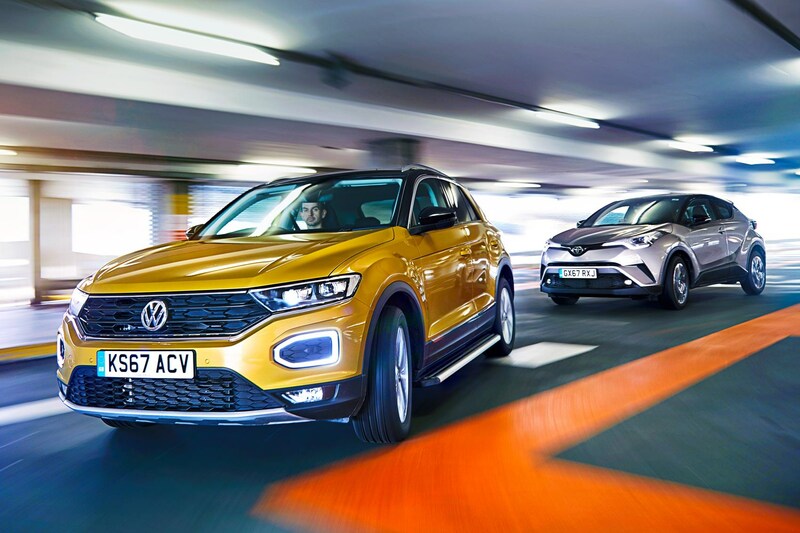 VW UK expects the T-Roc to become one of its three top sellers, joining the Polo and Golf, while doubtless stealing some sales from those traditional hatchbacks. It's 24mm shorter than a Golf, but taller and wider and with a much bigger boot nestled beneath that angular, coupe-like rear hatch. Perfect for those aiming to trade up. It shares elements with the Golf and that burgeoning VW Group collection crossovers and SUVs, but T-Roc has personality enough to merit being treated as an entirely distinct product. 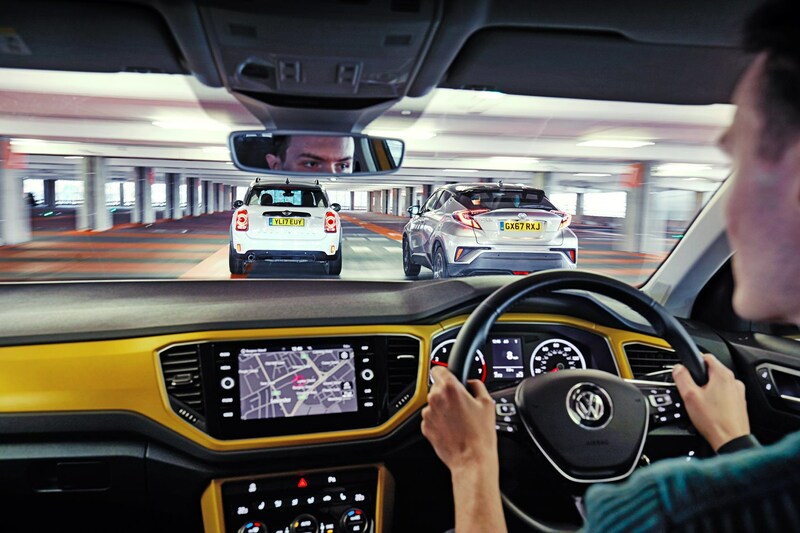 Your engine choice (all turbo) spans 1.0-litre petrol to 2.0-litre petrol and diesel, with a 1.5 petrol in between, and a choice of manual or DSG gearboxes. All-wheel drive is reserved for the big engines. It's available in four trim levels; S, SE, Design and SEL. 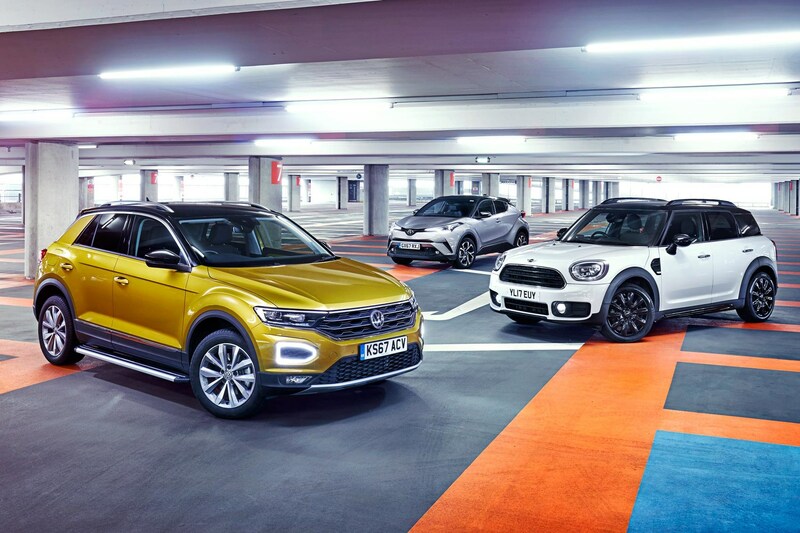 The T-Roc faces off against one of the UK's most popular crossovers, the Mini Countryman. By some margin the biggest car Mini makes, if I had a pound for every time I heard someone say 'they should have called it the Maxi' I'd have enough to buy one. But it's such a success because the recipe is simple: retain the Mini hatch's character but give the buyer more – more space, more drivetrain options and more flexibility. It has the same brief as the T-Roc – to give Mini hatch owners something familiar to trade up into. The recipe is clearly working. Now in its second generation, the Countryman is the second most popular car in Mini's line-up: with more than 11,000 sold in 2017, that's a 17 per cent share of all Mini sales in the UK. Its underpinnings share much with the BMW X1, but the two cars don't look or feel alike. 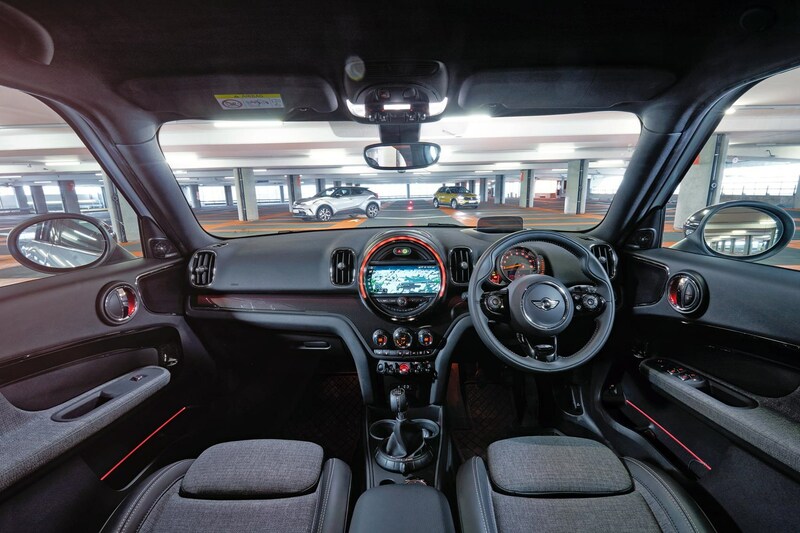 The Countryman4 is available in various combinations of petrol or diesel, manual or auto, front- and all-wheel drive, with the familiar Mini family choice of Cooper, Cooper S and John Cooper Works spec, with a load of options and packs to pick from. The Toyota C-HR (Coupe High Rider) has a slightly different mission. It's less about appealing to those trading up and more about getting people interested in Toyota in the first place – more precisely, a different, younger bunch of people who weren't browsing the Toyota range at all, because they couldn't picture themselves in an Avensis or RAV4. Toyota has given its wilder side a rare outing, said 'stuff it' to design and packaging conventions and carved a brave new path for its compact crossover. With its elaborate rear lights, whopper of a rear wing and over-sized alloys, it wouldn't look out of place as a show-stand concept car – it certainly turns heads on the public road. It's a truly striking package. Pry off the badges, park it next to an Avensis and few would guess they were from the same brand. At the very least it's thoroughly un-boring to look at, even if enthusiasm for its looks isn't entirely universal. It's finding plenty of owners in the UK; Toyota sold 14,677 of them – around 14 per cent of all Toyota's 2017 annual sales – last year. That wild exterior isn't there merely to disguise mundane underpinnings. The C-HR's chassis is based on the same hardware as the Prius, but heavily modified for duty here, with the development work carried out on European roads and racetracks. As well as our 1.2-litre turbo four, there's a 1.8 petrol hybrid, derived from the current Prius. The 1.2 is the only version available with a manual gearbox and front-wheel drive – hence its inclusion here. The hybrid comes with a continously variable transmission (CVT), which is also available with the 1.2. There are three main spec levels; Icon, Excel and Dynamic (tested here). All three test cars have a small-capacity turbocharged petrol engine, a manual gearbox and front-wheel drive. 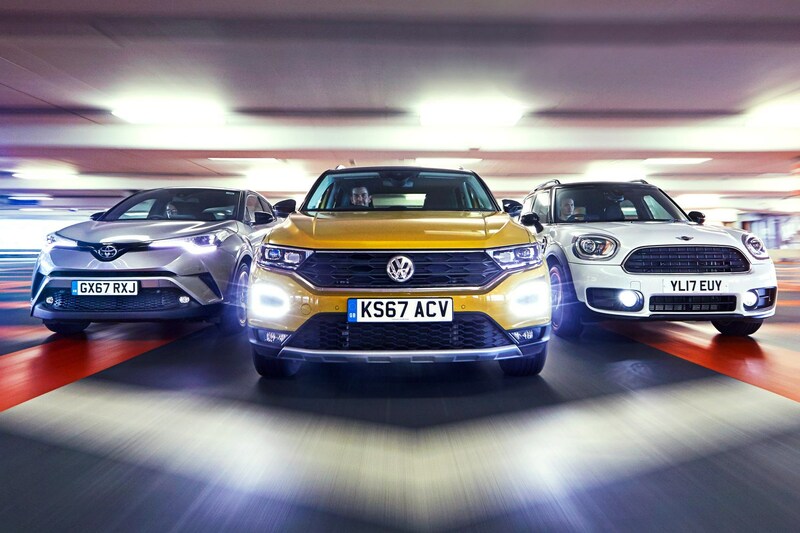 The weeniest is the T-Roc's 113bhp three-cylinder 1.0-litre TSI – the same engine used in a lot of small and mid-size VW Group cars including the Skoda Octavia, Seat Ateca and excellent Up GTI – while the C-HR adds a couple of hundred cc to the party for one extra bhp. Punchiest on paper is the Countryman: you'll find a 1.5-litre turbocharged triple under that bulbous bonnet, good for 134bhp. It's the same unit that sees action in the Mini hatch and BMW's 1-, 2- and 3-series. All three are also personalisation-ready, with options lists bringing the scope to tweak every detail. 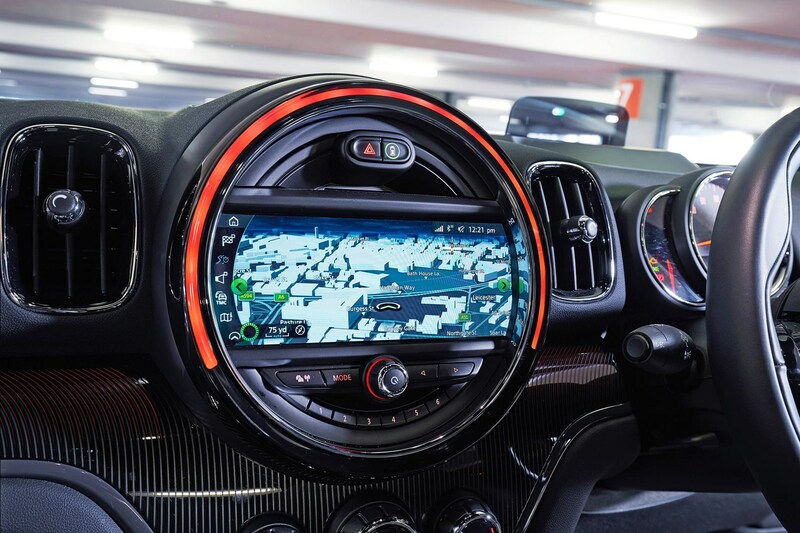 Mini has been doing this for almost 20 years, though this test car isn't perhaps the greatest showcase for the possibilities on offer – white with black wheels gives it a grumpy panda look. Our C-HR is a decent combination, if on the restrained side, but rest assured there are some far more challenging colour combinations available if you want them. With the T-Roc you need to buy into Design spec (or higher) if you want to go all Jackson Pollock with the paint, roof and interior trim options. wind noise. It's only when you push it that it gets really vocal, and a tad gruff. Power is progressive through the rev range, right up to the redline, but it never feels urgent. What strikes you first, though, is that the Countryman doesn't actually feel that crossover-like. Firmly grip the fat-rimmed wheel and you quickly get a sense of the weight and precision of the steering, even at low speeds. On weaving roads the responsive steering and well-resolved body control make for a car you're happy to hustle, barely slowing for corners. 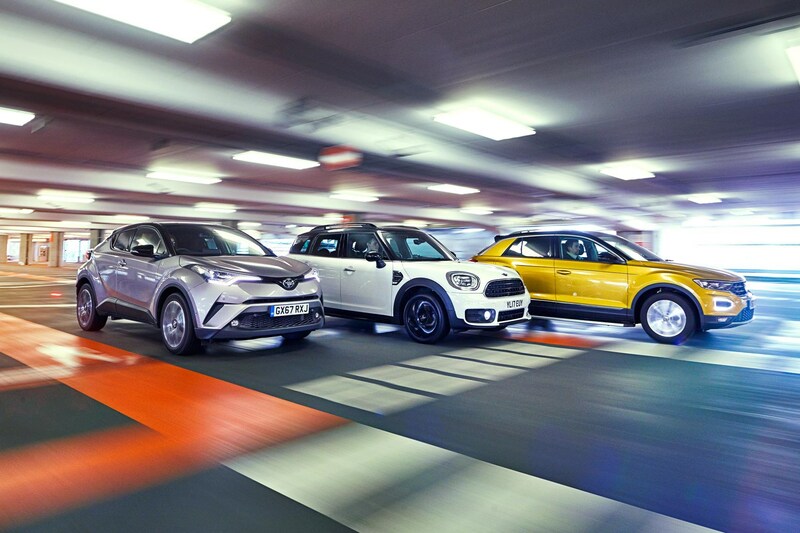 But these three aren't destined to spend much time hustling, which makes the Countryman's adherence to Mini's brand DNA both admirable and mildly puzzling. Crossovers should excel squeezing into car parks, negotiating city centre traffic and swerving around badly-parked cars in cul-de-sacs. 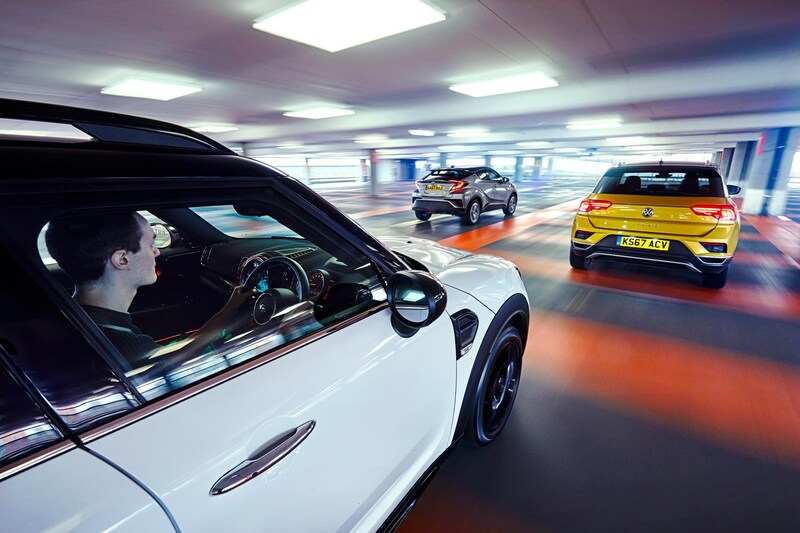 Bowling into Leicester's frantic city centre means dealing with a rapid-fire succession of traffic lights, speed cameras and erratic traffic – and the Mini isn't entirely comfortable. A family-centric car shouldn't feel like it's tapping its fingers in traffic, on edge like a junkie in the throes of withdrawal. The clutch is supercar heavy, making your left leg beg for mercy in stop-start congestion, while the short, meaty shifter – just moments ago your trusted ally on those twisty B-roads – works against you now, jarring with its weighty clunkiness. The firm springs don't help, struggling over even modest potholes. It all adds up to the feeling of a fish out of water. Jump from the Countryman to the T-Roc and the VW feels woolly by comparison. The T-Roc's just so much more chilled out, with a slick six-speeder at your left hand and a much more pliant ride that deals happily with scarred surfaces. VW's little TSI is the most eager engine here too, despite being the weakest. It's always ready for the sudden bursts of urgency you sometimes need in town, complete with a gravelly growl and a hearty glut of midrange torque. This configuration brings out the best in the VW. When I first drove the T-Roc on the European press launch the test cars were all high-powered TSIs or TDIs with all-wheel drive and DSG twin-clutch boxes. For all that those niceties bring, that engineering adds a whole load of extra weight. They felt a little stodgy and provided little to write home about in terms of driving dynamics. It's a different story here, up to a point. Squirt it down the same road as the Mini and the T-Roc is less inclined to let you know exactly what's going on, for better or for worse. Where the Countryman feels tight and communicative on decent road, the T-Roc does a good impression of a Golf; rapid and trustworthy, if a touch numb.That's no bad thing, but it's the Mini that has the last word in driver involvement here. Trying to get a word in edgeways is the Coupe High Rider. Is it a tall-riding go-kart like the Mini? Not really. Is it a super-light traffic breezer like the VW? Nope, not really that either. The Toyota's steering is neither progressive nor light enough to pip the VW, nor meaty and pin-sharp like the Mini's. The pedals lurk in this same slushy void; they're light enough for town driving but bring little to the party when the road opens up. It's the comfiest car here by some margin, riding over pockmarked roads without a flinch, yet body roll is equally well contained – impressive stuff, were it not for that disinterested steering. The flat, fairly dull four-cylinder engine doesn't help the C-HR's conspicuous lack of dynamism. Its delivery is impressively linear but the only way to make what feels like decent progress is to rev it hard. Torque is frustratingly scarce. 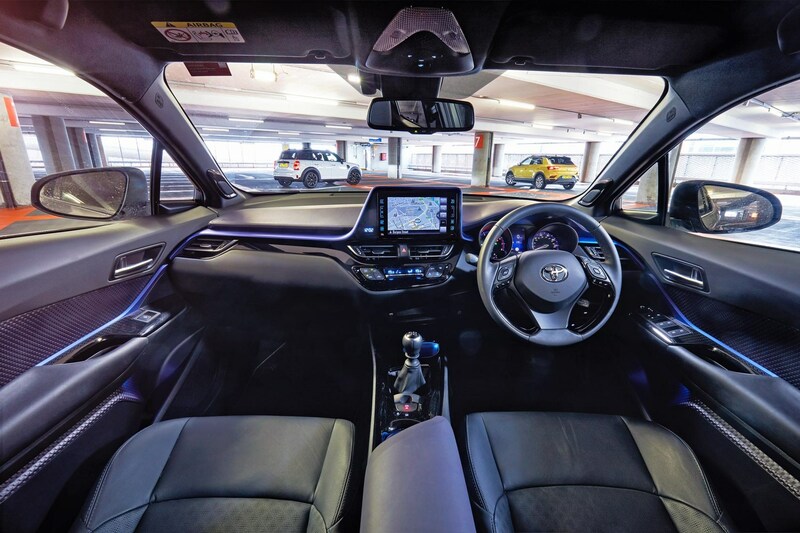 Truth be told the comfy ride and soft-edged driving controls are a better fit with the Prius-derived hybrid C-HR. It's not that much more expensive, running costs should be lower – should... – and the electric motor alone provides more torque than this 1.2-litre turbo four. When the C-HR plays the suburban prowler so well, why rev when you can waft and whirr? 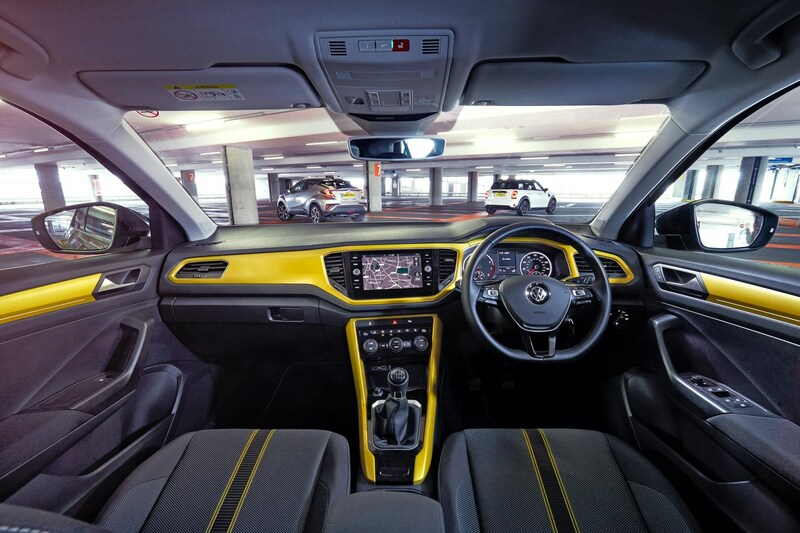 So the C-HR's no go-kart but there's much to like here, not least what must be by some margin the wildest Toyota interior of all time. 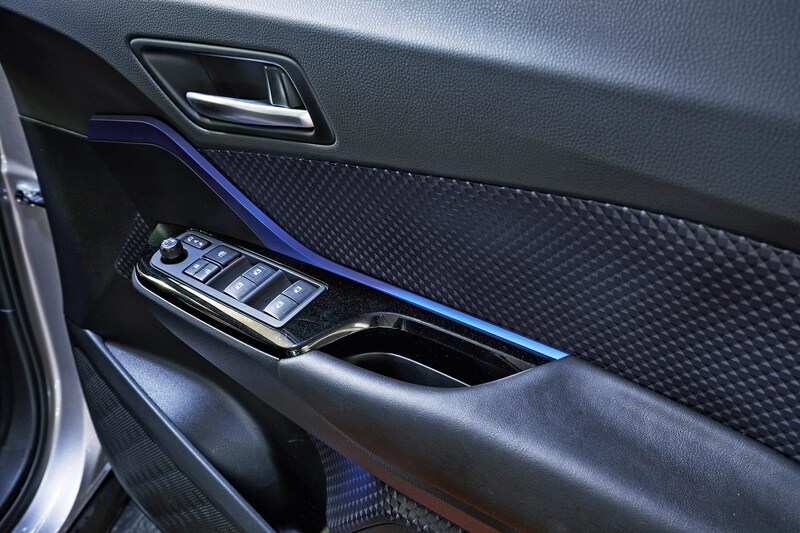 There are more material types and unexpected shapes on show here than the catwalk at London Fashion Week, including a striking blue blade that scythes right across both doors and over the top of the infotainment screen, tying together everything from the soft-touch plastic dash to the leather-bound armrests and the diamond-relief door inlays. That diamond theme's everywhere in the C-HR: the wheel and dashboard buttons; indentations in the headlining; the cupholder4 surrounds. There's real attention to detail in here, even if the infotainment and instrument binnacle displays have the screen resolution of one of those cheap VTech tablets parents give their sprogs to keep them quiet in supermarkets. At least the JBL audio system is up there with the best on the market. What the interior lacks, though, is any sense of space. The low coupe roofline makes the whole cockpit dark, with the rear especially claustrophobic. That swooshing rear window line might look cool from outside but it means your little ones have an ice cube's hope in hell of getting a view from the window – not something they'll appreciate on a long drive. The boot is also measly in outright capacity and the rear seats don't fold flat like those of its rivals, making lugging boxy things a faff. 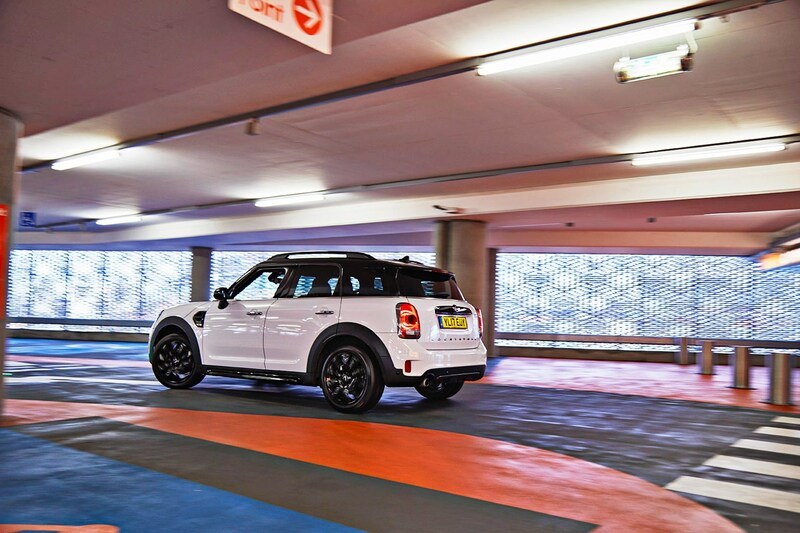 By contrast the Mini feels – and is – refreshingly spacious. It's by far the most practical cabin and boot here, with even a lanky 6ft 3in driver like me having the room to sit behind myself with legroom to spare. The big boot also has a low load lip. From the driver's seat the Mini's less roomy, but you don't mind because the cabin is well designed and built from quality materials. Every button or dial is either comically sized or oddly shaped, but press, flick or twist anything and you get a comforting sense of robustness. Still, there are a couple of ergonomic niggles. The infotainment screen is way too low to glance at easily and the armrest between the seats gets in the way more than it helps. It also irks that you can't really get away with having a truly basic Countryman, because Mini is criminally tight with standard kit. Tick the Chili Pack box and you're treated to a smattering of luxuries that not only help you feel pampered but also help your wallet at resale time. The really good news? That going crossover doesn't mean accepting dullness. The C-HR shines best when you're out showing off its zany looks to your neighbours, revelling in its cutting-edge interior design and gliding like a Range Rover over those huge potholes on the school run. But your kids won't appreciate being forced into the back seats, if they can even reach the rear door handles to climb aboard in the first place. The Mini is the most practical car here and by far the best to drive, with crisp controls and a taut chassis worthy of a hatch. But there are a couple of interior niggles, and there's no doubt it's by far the least cosseting of this trio. If you just want to tune out, the Mini's not the place to do it. 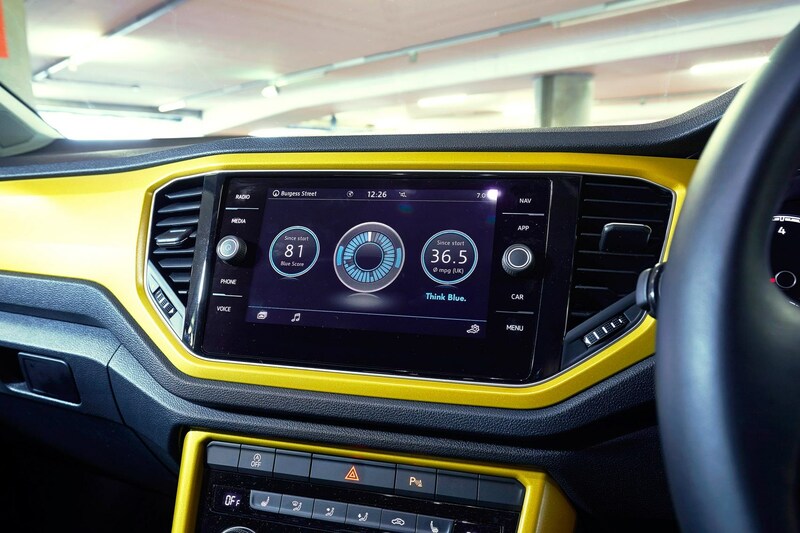 The T-Roc's budget-conscious interior smarts, particularly as the Design specification costs £2175 more than the S, but there's a high level of kit and the VW's almost as practical as the the Mini – it's a rounded, pretty compelling package. And this is definitely the best way to spec it. Keeping it simple helps keep it light, with the engine from the Up GTI (among countless others) and drive to the front wheels via a sweet manual gearbox. So the T-Roc edges the win, if only by a fly's eyelash. For a slick, distintive all-rounder, look no further. The best all-rounder of the three. Perky engine, easy to drive and good value. Great fun to drive, well-built and the most practical here but lacks last degree of usability. Comfortable cruiser, striking inside and out but impractical and gutless.